You must go out to the whole world and proclaim the gospel to every creature. 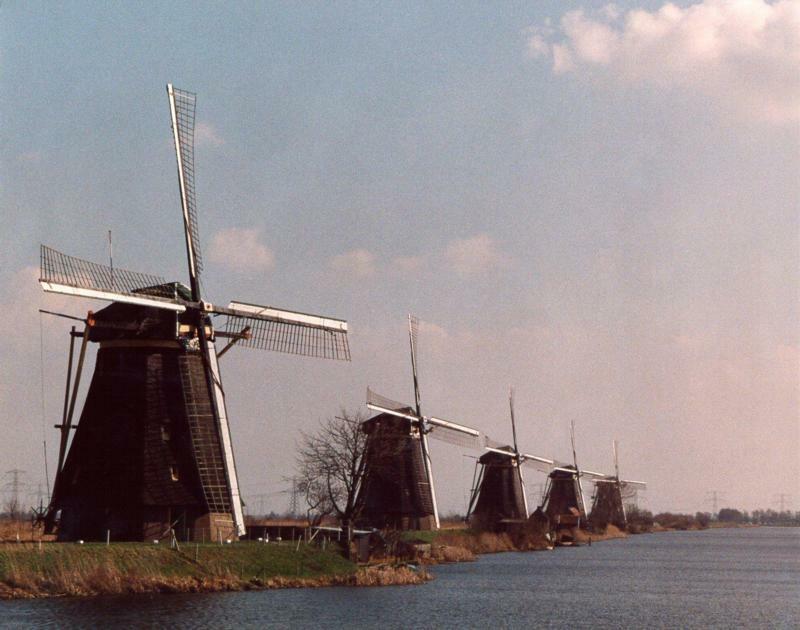 For many tourists The Netherlands is known for tulips, windmills and the canals of Amsterdam. If you know any Dutch people, you probably know that many of them are very religious. If you have watched the news at all, then you have heard that The Netherlands is an intensely permissive society, where tolerance currently seems to be the "prevailing religion." In fact, the one thing the Dutch cannot tolerate is intolerance... especially religious intolerance. When we teach and preach, that Jesus Christ is the only way to salvation, that makes us pretty intolerant, right? That makes this country a Mission Field. After our first furlough (1988) we started two Bible studies, which were initially mostly Discipleship Studies. But eventually we began looking at what the Bible teaches about a Local Church. In 1990 we started having Sunday Services because we had a group of saved individuals (some families, some singles, some with unsaved partners). These people were committed to the idea of a Local Church and and to the plan to establish a Baptist Church in our town. At this point we started working in committee on a Statement of Faith and a Constitution, to eventually present to the group to vote on. Finally the time came in January of 1993, that the was born. As is the case in most churches, there have been ups and downs in attendance. We have rented several rooms in a Community Center not far from our house ever since we started having services. In May of 2006 the Community Center received a beautiful new building, and we were happy to not only move in, but be the first renters to actually be permitted to make use of the new facility. Though the Dutch are considered "Christian" by most Americans, and many Dutch people would certainly consider The Netherlands to be "a Christian nation", the idea of "Church", let alone "attending Church" is no longer a part of Dutch culture and society. Getting people to actually come to a service is quite difficult. In Dutch we talk about "Threshold Fear", which is a very real thing, when it comes to getting people to cross the threshold of our (rented) building. It doesn't seem to matter whether that is for a concert, some other kind of outreach, or our Sunday Morning Worship Service. We try to make it a bit easier by describing our Worship Service on our Church's website, but it remains a major hurdle for people. I currently function as the Pastor of this small Local Church, and Crissie (obviously) as the Pastor's Wife. Once every three weeks I lead the Worship Service, the other Sundays other men lead the service. so I just play guitar and sing. It is still a small work, by its size and maturity definitely still in need of a Missionary Pastor. We support two foreign missionaries. We have a small Children's Church Group, a weekly Bible Study, a semi-weekly Youth Group, a semi-weekly Ladies Bible Study (Crissie leads that), and a semi-weekly Prayer Group that meets for one hour on Sunday evenings just to pray. Every summer we are involved in a one week Camp Ministry, which we call Good News Bible Camp. We have a Teen Camp (about 35 kids) and a Children's Camp (about 38 kids). David is the administrator for both camps, and the leader of Children's Camp. Crissie is a counselor; she always takes the youngest group of girls. Within Children's camp, Dave also takes charge of the Junior Boys and Girls groups (together with their counselors). Our son, Daniel, is in charge of the Teen Camp. The camps take place during the first week of Summer Vacation. This year that was basically the first week of July.